Kritters Thoughts: A book that starts at a low point in a depressing situation and slowly but surely gets weirder and weirder. A family of five siblings - one girl and four boys, have buried their mother, grandmother and now their father, so they must band together and create a new family unit. Throw in a noisy neighbor that works for Child Protective Services and a priest who uses all sorts of stories to explain away many a things - this book is just cooky. This weird mix of characters and plot line that takes place all within a week is such a rollercoaster that I just wasn't enjoying. The writing was awkward and at times I was drawn in and then other hand it was choppy and not entertaining. A little historical and an interesting cast of characters, this book is made for those who need a little entertainment, but are not your serious readers. Disclosure of Material Connection: I received one copy of this book free of charge from the author and Tribute Books. I was not required to write a positive review in exchange for receipt of the book; rather, the opinions expressed in this review are my own. 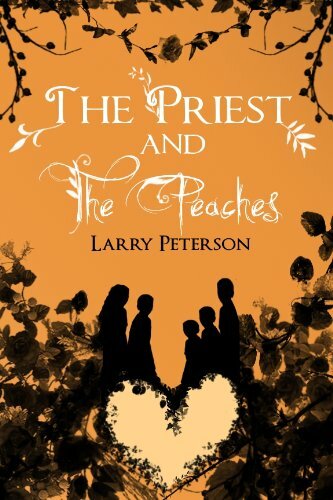 Kristin, thanks for taking the time to read and review Larry's book. I'm not sure this one is for me!